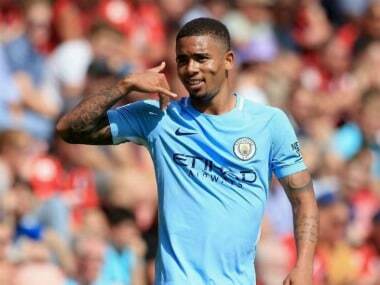 Manchester: Manchester City striker Gabriel Jesus could make a shock return for Sunday’s League Cup final against Arsenal but Pep Guardiola has doubts over Raheem Sterling's fitness for the Wembley showpiece. Brazil international Jesus has not featured for the Premier League leaders since he suffered a knee ligament injury against Crystal Palace on 31 December. However, he has returned to training and Guardiola, chasing his first silverware for the club, revealed the 20-year-old is in contention to face the Gunners at Wembley. "We'll see on Saturday. It is the third training session for Gabriel and every day is better," said the City boss, who saw his side's quadruple dreams ended by an FA Cup fifth-round defeat at the hands of League One Wigan earlier this week. "He's so important. When people say about four titles, you have to be everything going well, when your full-back is injured six months, it's more difficult, without Gabriel it's so difficult. "Sergio Aguero has been incredible, but sometimes you need to be fresh. At Wigan, we could have played two up front in the last minutes if Gabriel had been on the bench – now we have that chance with Gabriel." 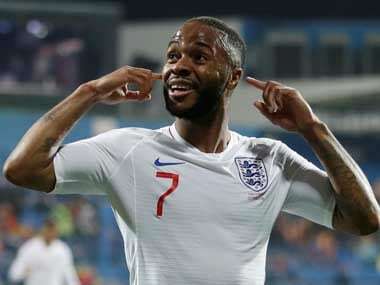 England forward Sterling, who is struggling with a muscle injury, will be assessed ahead of the match. 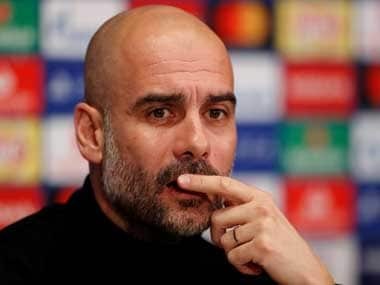 Guardiola also confirmed that he will stick with Claudio Bravo in goal for the final, having used the Chilean in the competition ahead of first-choice goalkeeper Ederson. "The fans have an opinion but I'm the manager," Guardiola said. "You put all the fans in front of me and everyone has their opinion but we are here for the club. 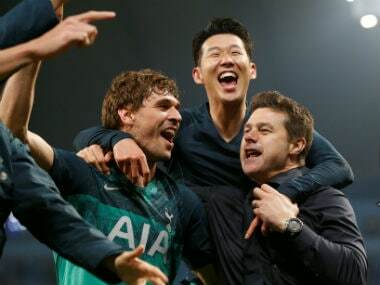 "Against Wolves he had three one-on-ones, saved three penalties, he deserves to play in the final and he's going to play. "The locker room is important in the final and without him we would not be here. He's going to play." Guardiola dismissed suggestions that victory over Arsenal could usher in an era of dominance for City similar to the period he enjoyed at Barcelona. "Not even in Barcelona when we won the first title in the cup did I expect to win 14 titles in four years," said Guardiola. "I'm more pragmatic. "I think in football it's a big mistake to think what might happen in the next three years. It’s a big mistake for our heads, our targets, it makes no sense. "When people asked in the beginning, about winning four titles (this season), I said of course we'll try, but the big teams have not been able to do that – the big Liverpools, the big Uniteds, the big Arsenals, the big Chelseas. "So why should I think we can do it? We have a final and we try to do what we have done. "Then after, in the Premier League, we have six games to be champions in the most prestigious tournament in this country. Then we'll see next year. Then at the end of our time together we will see what we have done."